Disclosure: I received a free advance copy of this book to review. 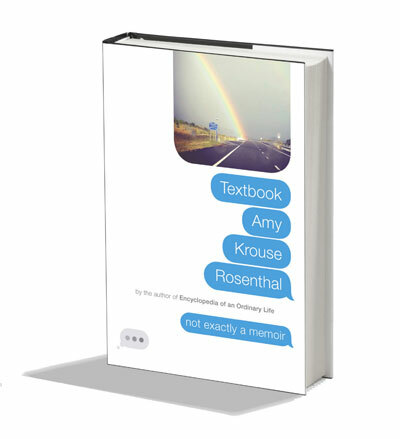 The first thing I read by Amy Krouse Rosenthal was her column “15 Megabytes of Fame” hosted at a web site called “The Center for the Easily Amused” which is sadly no more, perhaps because the entire internet is now a place for people to be easily amused. This was in the late 90’s, when the world wide web was shiny and new and far less misogynistic. Amy’s column was hand-written with some doodles and illustrations and posted as a scanned image. The image was not actually 15 megabytes, thank goodness, because we were all on dial-up modems and 15 megabytes probably would have taken an hour to download. 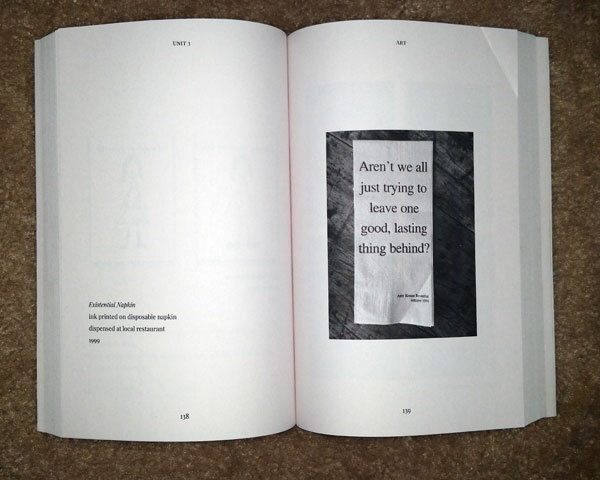 The title was a reference to Andy Warhol’s quote that in the future everyone would have 15 minutes of fame. It was quarky and funny and insightful and the handwritten text made it feel more personal, like a note from a friend. Unfortunately, I can’t find an archive of her column, and the Internet Archive’s Wayback Machine doesn’t have a copy because the robots.txt file of the amused.com web site prevents indexing. The only column I could find was this guest post at ShinyGun.com. I have a couple of the columns saved on an old CD, but I don’t think I have any rights to post those, so they will stay on my shelf. I also bought her second book, The Same Phrase Describes My Marriage and My Breasts: Before the Kids, They Used to Be Such a Cute Couple, even though college students probably weren’t the intended target audience. Then Amy started writing children’s books, and I was definitely not the target audience for those, so I admittedly lost track of her. That is, until she wrote Encyclopedia of an Ordinary Life, an innovative memoir that uses an encyclopedia format to express her thoughts. It was rather delightful. 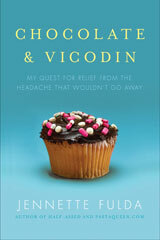 I remember reading it in the waiting room of my headache clinic and really enjoying it, which was nice because when you’re driving four and a half hours each way for a doctor’s appointment about your headache that won’t go away, “enjoyment” is NOT something you expect on the menu for the day. – Your name and where you live. – Why you would like to do this, in 33 words or less. – Something interesting that you noticed or that happened to you recently, in 50 words or less. – OPTIONAL: Any of your social media profiles. I’m not typically a competitive person, but I immediately thought, “I can totally nail this! I can be an official Awesome Person!” Not only that, I still had all that free stuff she’d sent me back in the 90’s. All I had to do was turn around, open a plastic tub on my bookshelf, and there it was, which was kind of freaky. I only have so many things on my shelves, so the fact that it was all within arm’s reach as I read the Facebook post was rather odd. 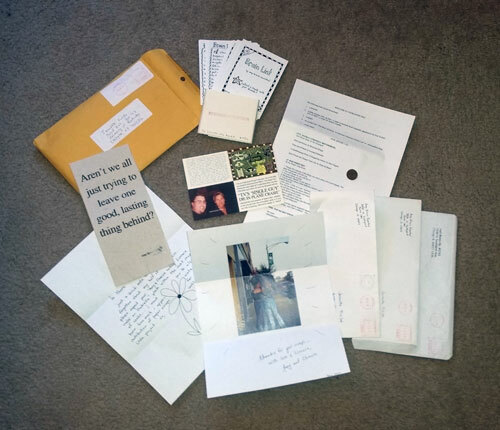 I sent in my submission, which included a 50-word version of the mailman post I wrote a few months ago (because the rules didn’t say I couldn’t reappropriate earlier material in my submission), along with a photo of all the stuff, and thought, “She will either be flattered that I still have all this, or think I’m a crazy stalker. I STILL HAVE THAT NAPKIN YOU SENT ME IN THE 90’S!!!! !” I’m not sure which it was, but I was accepted into the group and was extremely happy to be in the cool kid’s club. As an official Awesome Person, I am letting you know I highly recommend this book. Following the textbook format, there are chapters for Geography, Social Studies, History, Math, Art and more, and many of those titles have dual meanings implied. There are also prompts throughout that involve sending text messages to either vote on something or submit a photo that will go on the book’s website or just to get something sent back to you, like a link to a short story or music to listen to as you read the last chapter of the book. Also, as someone who sometimes flips ahead in books to see what’s going to happen (I read slowly and I get impatient), I liked that reading ahead didn’t spoil anything for me. Overall, this book is delightful, funny, reflective, and other good adjectives. If you enjoy my writing, I think you’ll enjoy Amy’s writing. That’s right! The very same napkin I was sent years earlier is displayed in the Art section. I am in possession of an Amy Krouse Rosenthal original. So, uh, that’s it. I enjoyed the book. I don’t think the fact that I got a free copy and was accepted into the Awesome People group has shaped my opinion in any way. I’ve clearly been a fan for years. 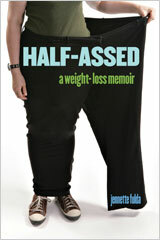 I don’t think I had any aspirations to write a book when I first read her column. I didn’t have a blog yet either, and people who did at that time called them “online journals.” Still, it was nice to see someone with a similar humorous yet reflective writing style putting out books and grabbing their piece of the sky. I’m glad she’s still out there doing her thing. It’s so easy for life to drag you down with whatever damage you collect over the years. It’s definitely been harder for me to keep up with my writing because of my chronic pain, so it’s nice to get little droplets of inspiration from books like this from time to time. You can pre-order a copy of the book here. If you live near Chicago, you can also attend the official book launch on August 9th at the Bean sculpture in Millennium Park. You can learn more in the video below. If you do show up, tell Amy that Jennette Fulda sent you so she knows I did not shirk my Awesome Person obligations! I hope you get your hands on a copy of the book and enjoy it as much as I did! Well, I knew you were an awesome person. Sheesh. Sounds like an interesting book. I will check it out. Thanks! Jennette, I’ve been following your blog for eons, and Centre for the Easily Amused was my site! I created it in 1994, and am still easily amused after all these years. I still have the scans of Amy’s columns, and have a few printed out. Isn’t she amazing? Thanks for the little trip down memory lane! @Cathie – OMG, ARE YOU KIDDING ME?! That is so awesome! I loved the Center for the Easily Amused and I’m flattered that you’ve been following my blog for so long.